Today's a bit different as we feature one brand new album, one from last year, and a gem from six years ago that I just recently discovered. 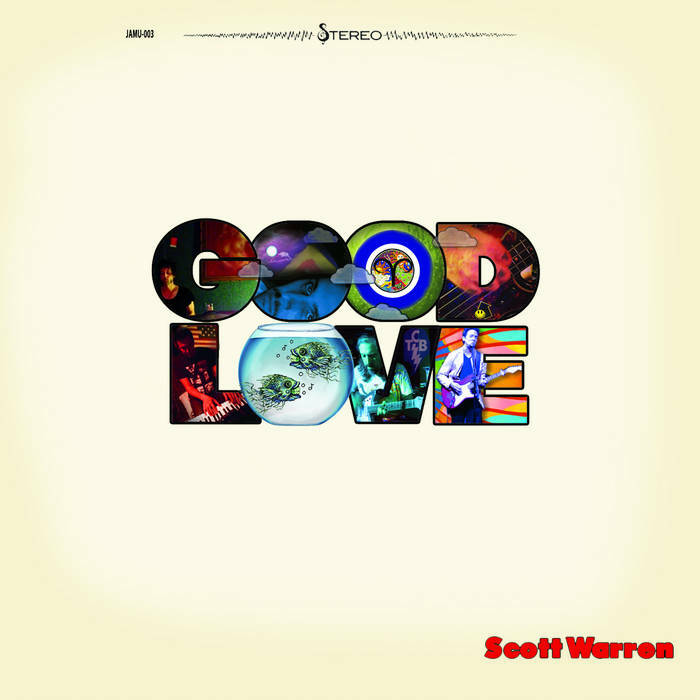 Scott Warren-Good Love. Between his stellar work with Signal Hill Transmission and his solo output to date, Scott Warren has gone down in my book as an underrated pop genius. Good Love is his first album since 2012's brilliant Dyed in the Wool (my #3 album that year) and a bit of a throwback to his Signal Hill Transmission days in that's more of a straight-ahead rock album. "Good Love" and "Cold Feet" offer a melodic 1-2 punch that puts the "power" in "power pop", "Why Won't You Come Around?" finds Warren more reflective, and "I Love You, I Love You" has a rollicking, vaguely honky-tonk feel to it. Elsewhere, the lovely country-tinged ballad "Fall in Line", and the gentle McCartney-esque "Life" are standouts, and Warren closes with a nice cover of Lindsey Buckingham's "Trouble". While there's nothing here as mind-blowing as "A Sinking Feeling" and "Tongue-Tied" from his last album, Good Love is a great collection of pop/rock tunes and an early best-of-2016 contender. Eugene Benjamin-Life. Eugene Benjamin's Photograph was of 2014's nice surprises for me, and late last year he followed that up with Life, another fine collection of roots-influenced rock in the style of Tom Petty, George Harrison and John Hiatt. Tracks like "His Town", "She Got Soul" and "Reunion" go down smooth and easy as well as the louder rockers like "Baby Grace". You can slot this in somewhere around the middle of my 2015 year-end list had I heard it in time. 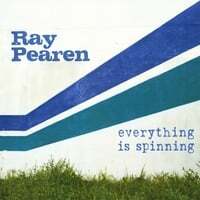 Ray Pearen-Everything is Spinning. I don't normally seek out albums from six years ago, but I stumbled across this album after a track from 2007's The Holy Fields EP came up on shuffle and got me to wondering if they'd released anything since. Typically, bands I don't hear from in many years have broken up, so I'll Google the frontman and see if he's released anything under his own name or with a new band. This led me to finding out The Holy Fields' Mike Gennaro played on this 2010 release from Ray Pearen, a Canadian musician who happens to based out of my home area in Tampa. So I gave it a listen and it's one of the best power pop-meets-Americana albums I've heard in recent years and easily would have made my top 10 of that year. The opening track "Drive" has fast become my new favorite song, one of the best songs Tom Petty never wrote, while the title track rocks in the same vein and "Waiting" has a kind of timeless pop pedigree in which I hear traces of Buddy Holly and The Beatles. "Run Away With Me" is another dazzling rocker, and while the album closes with three ballads, they're all of top quality. It's a shame this got overlooked in 2010. Joey Sykes-Classic New Rock. Those of us in the power pop community have known Joey Sykes over the years for his former band New English and his fine 2010 solo album Human, Being Human (which placed #27 on my year-end list then). Lately, though, he's been getting more exposure as the new guitarist for 70s/80s hitmakers The Babys, and with new fans on board he's released another solo album. The title both sums up Sykes' sound and his career and this is top shelf power pop that recalls the likes of Badfinger and Wanderlust (as well as solo Rob Bonfiglio). Not a bad track here, but "That's American Life", the piano-backed "When Life Goes Right" and the midtempo "Finish Line" are the standouts. One of 2016's best out of the gate. Johnny Stanec-Farewell, Sadness. Johnny Stanec is no stranger to this site, staying prolific over the last 6-7 years with numerous releases from his band First in Space, which broke up in 2014, and as a solo artist. His latest is another fine collection of Heartland pop/rock, somewhere in the sweet spot between Ryan Adams and The Gin Blossoms. So at one end you get singer-songwriter-styled tracks like the opener "Tired of Today" and the other there are quality rockers like "The Sky is Falling" and "Find Your Place". And "In Conclusion" is a perfect album closer, a wonderful track about finding humility in life. 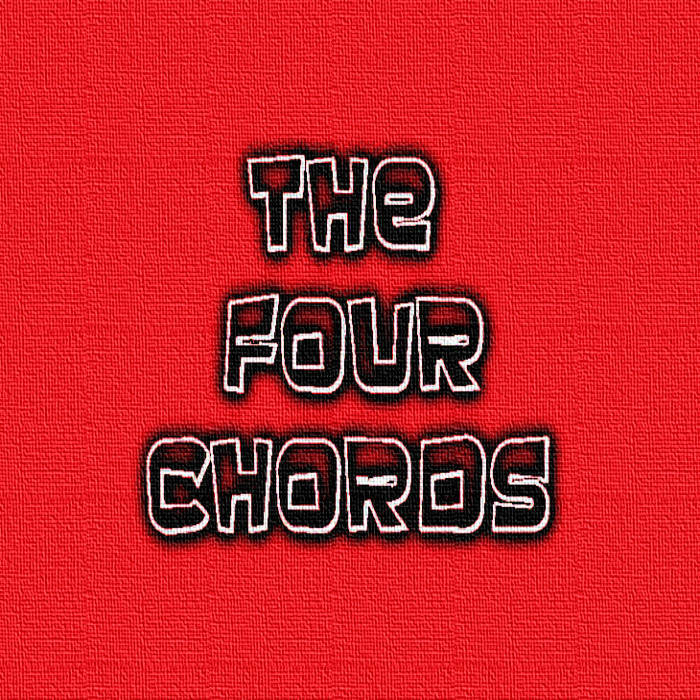 The Four Chords-The Four Chords. I haven't been able to find out a whole lot about this band after finding them on Bandcamp, so I'll just let their music speak for themselves: Straight-ahead classic power pop that's implied by their one-chord-too-many name. Or as they put it, "The Four Chords have a keen pop sense and combine multi-part vocal harmonies with a large dose of over the top rock n' roll--power chords, big guitar solos and guilty pleasure arena rock." Just stream it below, and if you like you can name your price at Bandcamp.